Forza Motorsport 7 from Turn 10 Studios is a phenomenal simulation title and easily one of the best entries in the Forza franchise. The game is a beautiful piece of art that runs just as smoothly as it looks, and easily takes the crown for one of the best simulation driven racers currently available. The more arcade-like Forza Horizon series, on the other hand, is an entirely different breed of racer developed by Playground Games. It has a wonderful simulation heritage from Turn 10 Studios that is embellished with open worlds, more arcade like gameplay and stunning visuals by Playground Games. This collaborative effort has helped make Forza Horizon 4 one of the year’s best open-world racers. The story in Forza Horizon games has always revolved around a big annual celebration of racing. This aspect of the game was brought to the forefront with Forza Horizon 3, and now even more so with Forza Horizon 4. The game shares the usual arcade racer storyline as past games. This is not an issue in and of itself, however, as it also comes packed with a few extra tidbits of its own. At the very start of the game, you are booted into a demo-reel of sorts whereby you drive multiple cars, over several seasons and around various tracks. This is done in such a way so as to give the player the feel of the game without throwing an all-out tutorial in your face. It also adequately showcases the game’s biggest selling point: seasons. 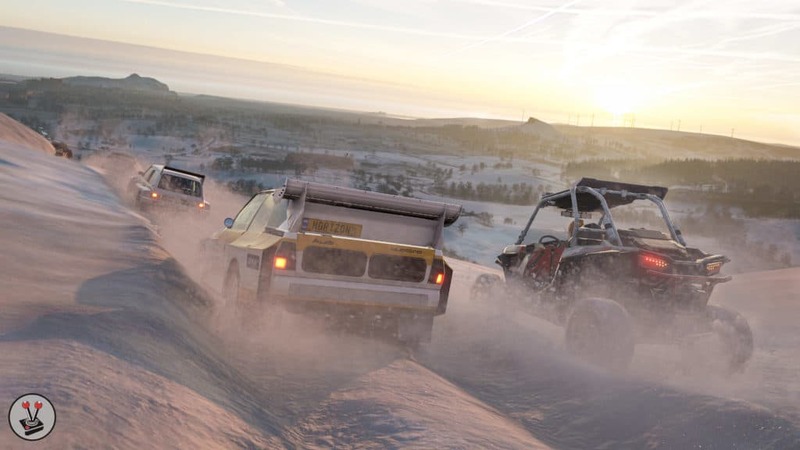 The game lets you speed through various locations of its new British-based locale, all whilst you do your best to get to grips with the unique handling mechanics that are influenced by seasonal changes. After this, the game welcomes you to the Horizon Festival and asks you to choose a new car – this is a racing game, after all. Once chosen, it will slowly introduce every kind of race and event to you as you finish them in consecutive order. It is during this first “Summer” season that you meet all characters, and it serves as is a nice way to slowly get used to what all race types and roads have to offer. 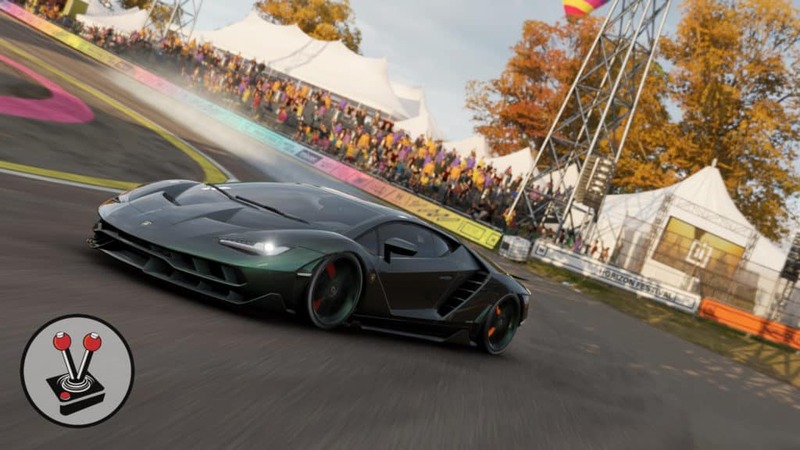 It also introduces the various substories Forza Horizon 4 features. The story in all Forza games, past and present, mainly revolves around gaining influence and becoming the best racer in town. 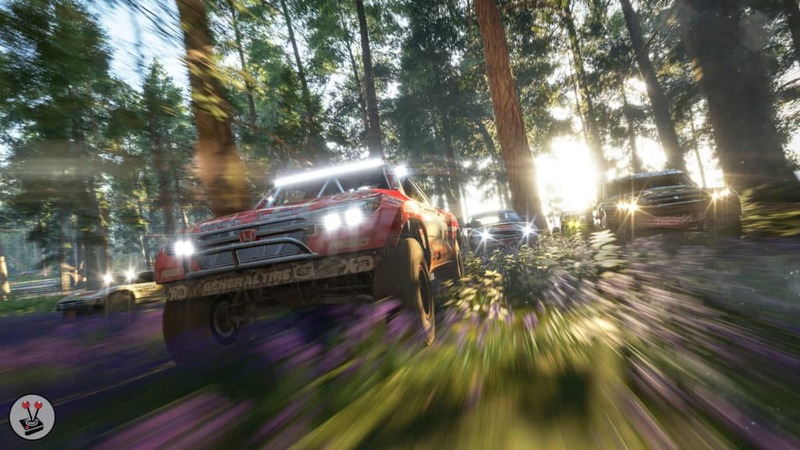 In Forza Horizon 4, however, you can become the best racer in town, while also becoming: Hollywood’s best stunt driver, the Horizon festival’s leading Showcase driver, and even the festival’s totally-super-secret unsanctioned street race champion. Like previous games, the entire game revolves around becoming the best and most influential driver. Unlike previous games, the entire game is broken up into lots of smaller parts, where you become the best and most influential driver in several new categories. 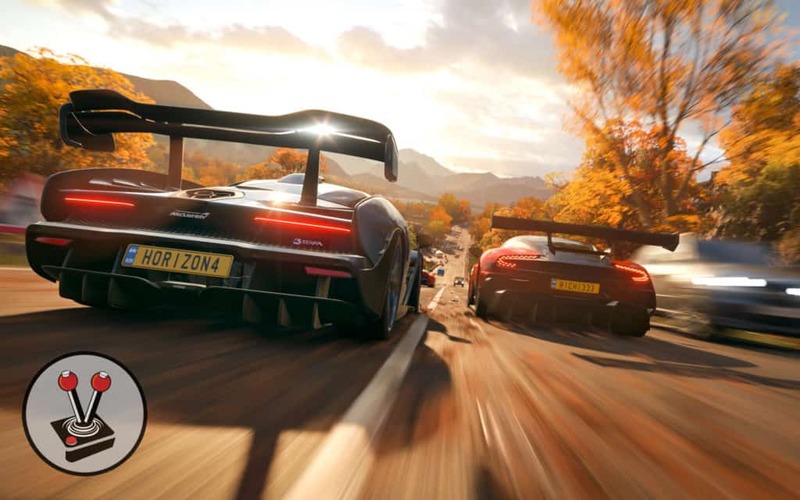 With Forza Horizon 4, it is your way or the highway… which is also your way, just with more speed. It is a nice change from previous entries in the franchise. Perhaps the biggest problem I had with the story elements and cutscenes, at least at the start, was how new characters kept introducing themselves in the same way: “Woah, that was rad! 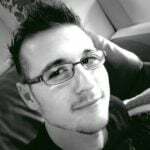 I’m Joel, by the way”, or something to that extent. It happened so many times that meeting new characters became something of a joke. Fortunately, this did not persist for long. I must say that this more focussed way of introducing new aspects of the game is such a cool concept. It offers way more guidance than its predecessors in this regard – a welcome addition and change for newcomers. Of course, the overall narrative remains a very small slice of the big red raspberry racing pie. Characters introduce themselves to you during the Summer season, and then carry on like they hardly know one-another all the way through Winter and beyond. The reason for this is because there really is no reason for them to be tied to one another in any big way. Rather, it is the player’s prerogative to choose which kinds of races they would like to tackle, and by extension, which “storylines” they would like to carry on with. Obviously, you will eventually have to do pretty much all of it, since gaining influence becomes quite challenging later on. However, the game seldom forces you into a specific type of race. For instance, this allowed me to finish the ten Stunt Driver chapters during the Autumn season, long before I even unlocked Winter, let-alone Spring. 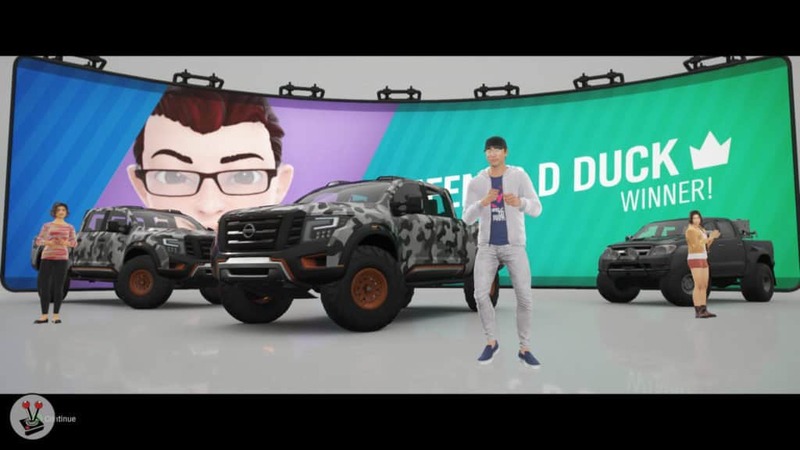 Another great aspect of Forza Horizon 4’s narrative is that the player is encouraged to select and customise their own character. The main reason for this is because the player character is actually a big part of cutscenes, loading screens, menus, and even celebratory montages. The character is more than simply an avatar, and appears to have a proper identity. This feeling of uniqueness is emphasised even more when the game downloads your Gamertag and Microsoft profile to learn your name. It was a surreal feeling when the game’s artificial intelligence automatically called me Edward the first couple of times! If it is unable to auto-match your real name, however, it does allow you to select one of many pre-saved options (Hans went with ‘Your Majesty’ for this very reason). Forza Horizon 4 is also very much a social experience. Unlike other racing titles, it does a great job of dropping your friends list, and friends of friends, into the game as other drivers. These are called Drivatars (artificial intelligence based ‘ghost riders’), and the best thing about them is that they make you feel like you are racing alongside people you know, regardless of whether they have the game or not. It also enhances that feeling of having an identity within the game and adequately helps to emphasise the narrative of becoming “influential” among the racers of the world. A side effect of dropping other players into a racing game, is that it significantly enhances the risk of griefing. The Crew and The Crew 2, in particular, constantly had players drive into you just because they had stronger vehicles. In fact, it is an issue that I have experienced ever since Need for Speed: Rivals. As such, I have merely come to regard it as being part and parcel of open-world car simulation games. So much so that I did not even count it as a con in my review for The Crew 2. 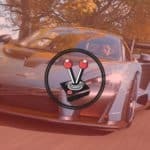 Thankfully, Playground Games and Turn 10 Studios have done their best to mitigate this issue by turning other players into Drivatars. Of course it helps that they are not actually other players 90% of the time, but it also takes that ‘greifing’ worry out of the game and leaves the player to just enjoy their experience. The other 10%? They only come into play when other gamers ask you for head-to-head races, co-op experiences (more on those later) or just random world-building. One last note to mention is that seasons and influence only matter in the first “year” of the game. You start Forza Horizon 4 in Summer, where you must earn 50 000 influence to qualify for Autumn. Once you manage that, you have to drive to the central Horizon Festival location, and a change of season will take place. After this, you have to gain 100 000 influence for Winter, and 200 000 influence for Spring. Once achieved, and you have experienced all seasons, the game will roll back to Spring (for now), and then only change over into the next season, every seven days, in real-world time. As the seasons change, so too does the look and feel of the map and the races, events, and vehicles within. I previously mentioned that the game starts out in Summer, and then chauffeurs the player through the four seasons as they gain influence – at least for the first yearly cycle. As you might guess, Summer is pretty much the easiest season of the lot. Roads are generally dry and days seem to last forever, when compared to nights. Vehicles are easier to handle in the summer too, whether you drive on tarmac, dirt roads, or anything in-between. The next season is Autumn, which, as the name suggests, means that the world gets a nice orange and yellow colour filter. Skies also become more overcast, and rain starts to fall. Here, you will find lots of puddles and bodies of water that would otherwise not be there during the summer. Autumn is the season in which I spent most of my time as I was afraid that moving over into Winter would cause many races and events to change, or become locked. This was not the case! As Winter rolled by, I could still do pretty much every single race and event that I had previously unlocked, including the new ones that popped up. Winter literally just put a blue and white filter on everything, made everything look super wet, made the streets very slippery, and also made it harder to drive on otherwise normal grass or dirt. I have to say that I found Winter to be the most challenging of the seasons. Snow is a weird phenomenon in that normal road physics and rules do not always apply. I found that my vehicles would skid in random directions, and I would have difficulty breaking, even when the road was mostly clear of snow. Winter is also the most different of the seasons. All of the challenging nuance that Winter brings, immediately goes out the door when Spring rolls around. Spring is pretty much exactly the same as Autumn, just more clear and more colourful. I think that the game would have been suited best if it had started in Spring, instead of Summer. This would ease the player from damp terrain, to nice and dry terrain that looked good, to damp and subsequently wet and icy terrain thereafter. This sequence sounds a lot better, does it not? Then again, once you have completed all four seasons, the game starts its “natural” cycle. Another great aspect of seasonal changes in Forza Horizon 4 is how they alter the way races work. While Autumn and Spring hardly change anything, save for making the landscape wetter, Winter dramatically changes the way you have to operate your vehicles. I mentioned that I was afraid that certain race types or events would go away if I transitioned into the next season. This turned out to be a none issue. What was different, however, was how Winter turned every race I had done before, into a brand new spectacle. Sure, it was the same event, which I had already come first in, but it was an entirely different avenue to master because of the way my car now handled on the track. On that note, I have to mention that I was initially afraid that the open world and its races would become tiresome after a while. Thankfully, much like the way Spring melts away the snow of Winter, the game always remained fresh. The change of seasons helps immensely to keep the game interesting; and there are just so many race types, events, and open world challenges, that one would be hard pressed to ever get ‘bored’. In terms of race types in Forza Horizon 4, one of the first that you will encounter is a sprint. These require you to drive through checkpoints as you drive towards an end-point. It works just like a normal race, except you need to hit each checkpoint and there are no additional laps. Following sprints are normal races, where you have to complete a set number of laps to finish. These come in the way of dirt tracks, normal race tracks, and even streets around Britain. Encompassing both the sprints and the races are the “technically illegal and unsanctioned” street race events, normal race events, and even exhibition events. Besides those, you also get races where you have to race against time, race against time while taking as little damage as possible, and race against time while also doing some pretty crazy stunts. The Stunt Driver races are always entertainment and embroil players in races where you are given a car that, for example, you have to drive while a fighter jet is flying overhead, or a vehicle that you have to ramp over a river, or even one where you have to wreck everything in sight as fast as you can and in a limited time. There are also Showcases that can be any one of the previously mentioned race types, but which also involve some gimmick, opponent, or something wacky. The point of these is to allow the player to gain influence quickly. My fondest one was the very first – where you have to race against a huge hovercraft. I will never forget how I ramped over it, only to hit it as I landed and rolled out of the match. I was annoyed, but recovered quickly enough and won by a mile. The best part? Most of the races and events that I mentioned, can all be played with friends, against friends, or against other people. You know, in case the artificial intelligence is just not smart enough for your liking. 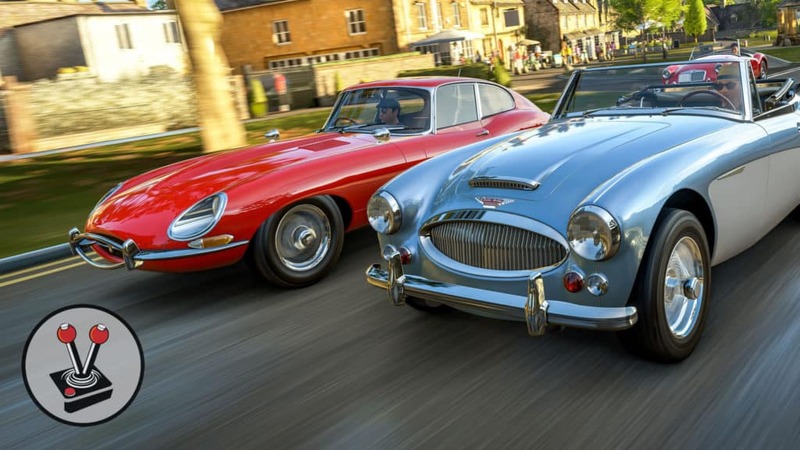 Speaking of cars, Forza Horizon 4 has over 450 to choose from. 450! Over 100 different manufacturers and even more to come in the future. That is, quite simply, outstanding. The game also has pretty much every manufacturer that you can think of. The big ones, such as AMG, BMW, and Audi, are all there, including others like Ford, Mitsubishi, Nissan, Hyundai, and plenty more. Unfortunately, Toyota and Lexus have very few options since licensing apparently fell through at the last minute. Whatever the case may be, I promise that this game has something for you. On top of that, cars can also be tuned and upgraded to the same extent that you would expect from a simulation title. Once you go into the tuning menu, you are met with countless submenus, each of which dictates another part of the vehicle’s innards. You can change the way the car shifts gears, or how far it is from the ground. You can inflate or deflate tyres for different roads and scenarios; and even adjust suspension, the drivetrain, turbo, and more. In addition to that, you can purchase upgrades to your vehicles (that have their own variations and little subtypes), which will unlock even more tuning options. I cannot say for certain, but I believe this entire system comes directly from Forza Motorsport 7, which is definitely a very good thing. The social aspect of the game comes into play here as well. Players can tune cars, and upgrade them, then save them into the cloud where other players can search for them, download them, and install them into their own garages. This is a nice way to get friends to act as “mechanics” of sorts, if you are not a petrolhead or if you have no knowledge of the nuances of tuning. In this same vein, players can also share cosmetic car customisations. You know, so you and your buddies all drive the same cars, with the same decals and body parts. Another feature that players can share around and take advantage of is Horizon Blueprint. With this, you can create races in any season or time of day. This allows you to change the type of event, the required car, set the rules of the event, and even name the race. Horizon Blueprint can be accessed from the pause menu, shared from race points within the game, and can be played on demand. It also helps a lot that, on top of the races, events, and blueprints, you can also set your own difficulty; which can be changed at any time throughout the game before and after races. I was pleasantly surprised to find that you can also change the difficulty of certain car mechanics, allowing the game to emulate real-world physics and damage. I immediately opted for the “simulation” difficulties wherever I could. 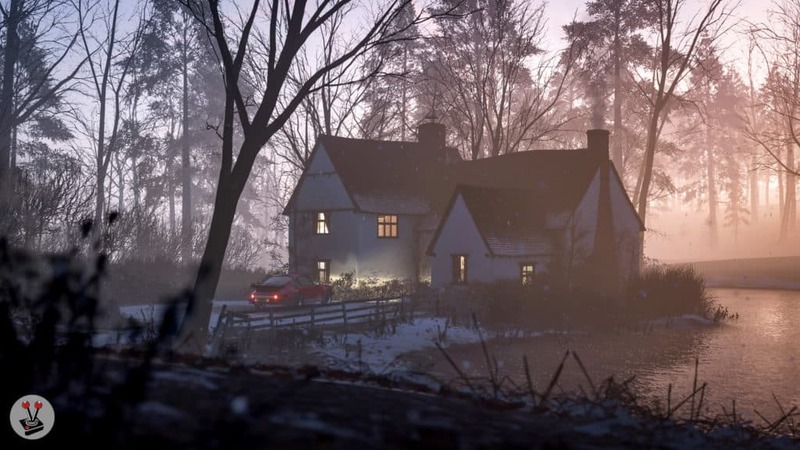 I love simulation titles, and Forza Horizon 4’s legacy means that simulations are done correctly; and they are beautifully done in the game. In fact, I had no need to change the difficulty at all after that. As is the case with racing titles, players need to be rewarded for their actions. 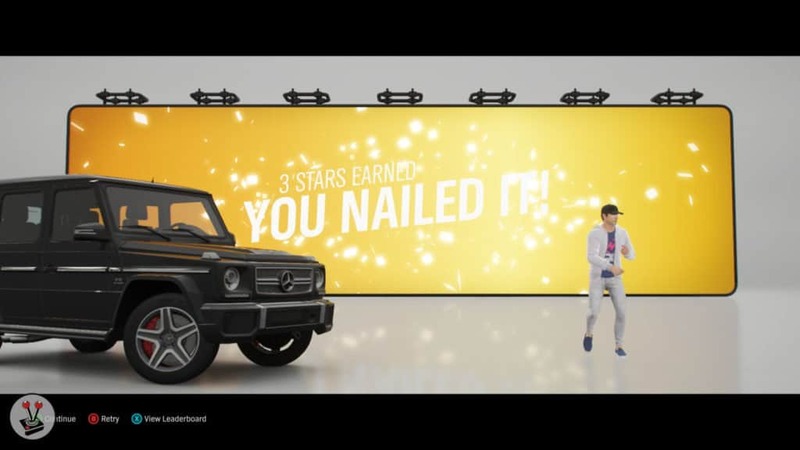 Forza Horizon 4 makes sure to reward the player at just about every fair opportunity. As mentioned, events and races are split into a lot of sub-stories. These stories, just like the disciplines that govern them, all of their own progress meters. Similarly, every race type also has its own progress meter. After any race, regardless of the type, the player will come to a screen where it shows the progress made toward the next level for that particular race type, as well as the player level. Successfully gaining a level will either move you up the ranks, and allow you to continue with that particular story; or will allow you to spin the wheel and stand the chance to win new vehicles, emotes, and clothing. Yay for winning a Koenigsegg and a classic Ferrari 488 GTB in one go! While you are at it, you can also enter the game’s photo mode. Once there, you can rotate around your vehicle, set the focus, and even determine the lighting (including the vehicle you are driving’s lighting) to get the perfect action shot. What is a good racing game without hair-raising engine roars, incredible attention to detail, and exceptional performance? Forza Horizon 4 delivers on all fronts. Nay, it hits it out of the ballpark! I love Forza Motorsport 7. It has amazing detail in its cars, tracks, and even its sound design. Thankfully, Forza Horizon 4 has exactly that but set on a higher open-world bar. If possible, and when the game permits, I will always play racing games from the viewpoint of the driver. This allows me to immerse myself in the game as much as possible. It also opens up my eardrums to the internal noise a car makes when it purrs to life, shifts gears, or when the turbo kicks in. I have played enough racing games to confidently say that Forza Horizon 4 has an exceptional sound design; coming in second only to Project Cars 2. Not to mention the amazing change in acoustics when you go off-road or drive through water – or even when rain hits the windscreen at 100Km/h, or when your vehicle shoots into the air and the engine is left to its own devices. Another great point about the game is its exceptional soundtrack. While I cannot attest to how it worked in earlier Horizon titles, Forza Horizon 4 features radio stations, each with its own set of DJs that are fully voiced, and full of personality. According to the game, I mostly listened to Pulse, however that may only be because Pulse (basically just the pop station) was my go-to station when Block Party (hip-hop, trap, and sometimes a bit of rock) played a hip-hop song I did not like, or when Hospital Records (EDM) ended up not playing a song which fitted with the type of race I was trying to finish. Another station I often listened to was Timeless (classical/ orchestral) when I drove cross-country to showcase events miles away. Whatever your taste in music, the game caters for it excellently. The beautifully designed sound is outstandingly complemented by the artistic visuals on offer – and it is what astonished me most about Forza Horizon 4. Regardless of the time of day, season, or what I was doing, I constantly found myself in awe of the view I was given. Whether I was driving along the English coast, through a small village in the country, or even lifting dirt in a mountain track somewhere, I always found myself staring at the surroundings. This sentiment rings true to vehicles as well. Details inside the car are so well done that I wondered how they even catered for the open world. Sure, when you look up close and squint a bit, you might start to find some imperfections. To the naked eye, however, the game is just incredible looking. I was hard pressed to find a vehicle to drive that I did not love looking at. The game may not be as detailed as an open world title like Assassin’s Creed: Origins, but it is by far the most beautiful open-world racing game that I have ever played. I must also give special mention to how detailed character models are in Forza Horizon 4. Characters you meet have shiny and lush sets of hair (or beautiful bald heads), and feature simple lip syncing that at least allows for the immersion to continue. Characters move and dance and emote in believable ways after races, and even ancillary objects, such as Jets and humongous hovercrafts, are highly detailed and textured. As far as open world racers go, the level of graphical fidelity in this game is superb. At the end of the day, however, it all comes down to how well the game performs. I played the game on an original Xbox One, and I never had a single hiccup. Cruising at full resolution, with beautiful views and cars, with fun music in the background, was just sublime. With that said, I also had the opportunity to play the game on an Xbox One X at the Vamers Studio, and I can safely say that it looks utterly amazing. From the Ultra-high definition 4K textures to the High-Dynamic Range (HDR) it supports, the game never ceased to amaze. Loading times were just as good as well. Besides the first boot up time, and the time it took to load into a new car whenever you asked for it to be delivered, the open world offered little to no loading. I assume that a lot of the loading happens during transition screens, such as when you load into a new story instance, or race, but it was always short enough to feel natural. If that is the case, however, I can say that loading screens are not bland or boring at all. Instead, you are given a quick look at the car you will be driving or a huge scoreboard that shows your level and progress. The very nature of the game requires you to constantly switch between vehicles. As such, you will hardly ever get over seeing your favourite vehicles up close and detailed while you load into a race. Forza Horizon 4 is a must-own title. There, I said it, and now you can leave (to go buy the game). Still here? Okay, let me reiterate. The game is absolutely stunning. From constant visual surprises that are governed by the time of day, the season you are in, and the type of race you are taking part in; to the vehicle you are driving, whether it be a muscle car, a huge truck, or a classic tuner; the game never ceases to amaze. There is something special about how the setting sun reflects in the puddles of water as you drive through them while making your way down a mountain track, or through a small English village. For the game to perform as well as it does, while you are doing that, is doubly awe-inspiring. Along with the stunning visuals, Forza Horizon 4 boasts superb sound design. Vehicles sound like they should, and even change how they sound depending on where you are and whatever it is that you are doing. On top of that, the game also features a robust soundtrack that looped minimal times during my twenty-odd hours of the game’s first cycle of seasons. The game even boasts multitudes of race types, events, showcases and more that will keep you coming back for every season. There are cool sub-stories that encompass aspects such as Stunt Driving and Street Racing; and even a photo mode that allows you to capture every moment, whether it be a crash, an epic jump, or just a podium finish. To top it all off, Forza Horizon 4 also features a robust tuning mode and generous difficulty settings menu; which makes me wonder how on earth they fit it all into the 45 GB install size of the game. Turn 10 Studios and Playground Games really hit it out of the ballpark with this one. It really is a good game. More so than any other racing game I have played in the past… and yes, that included Forza Motorsport 7 and Project Cars 2. Forza Horizon 4 is a must-own title. From constant visual surprises that are governed by the time of day, the season you are in, and the type of race you are taking part in; to the vehicle you are driving, whether it be a muscle car, a huge truck, or a classic tuner; the game never ceases to amaze. 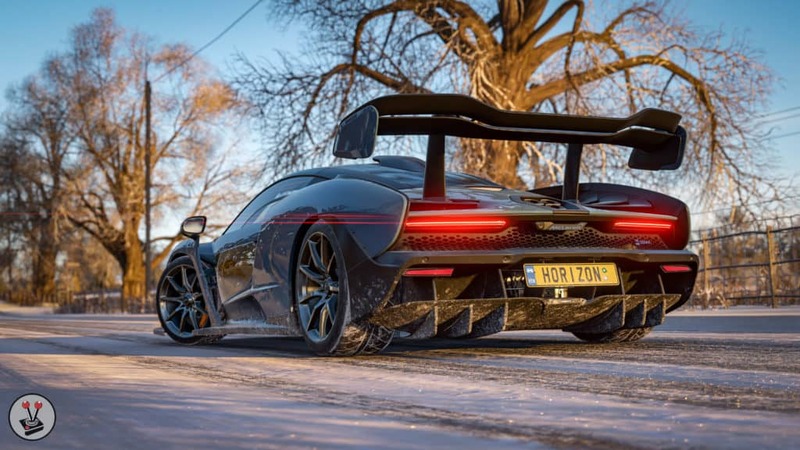 Along with the stunning visuals, Forza Horizon 4 boasts superb sound design and an incredibly varied soundtrack. The game even boasts multitudes of race types, events, showcases and more that will keep you coming back for every season. There are cool sub-stories that encompass aspects such as Stunt Driving and Street Racing; and even a photo mode that allows you to capture every moment, whether it be a crash, an epic jump, or just a podium finish. 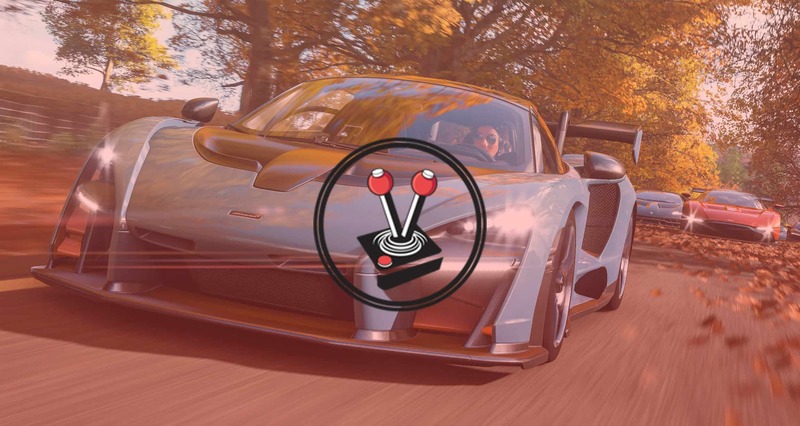 To top it all off, Forza Horizon 4 also features a robust tuning mode and generous difficulty settings menu. Turn 10 Studios and Playground Games really hit it out of the ballpark with this one - more so than any other racing game I have played (yes, that included Forza Motorsport 7 and Project Cars 2).